ExcluDoor® 4 Mk 2 can be fitted with certified ExcluVent® 4 ventilated panels. 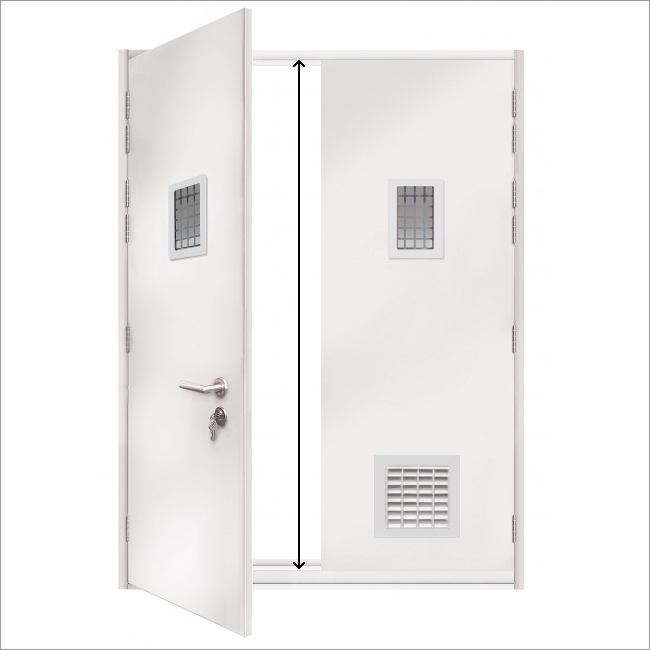 A range of single, leaf-and-a-half and double leaf high security steel doorsets certified to LPS 1175 Issue 7 Level SR4. 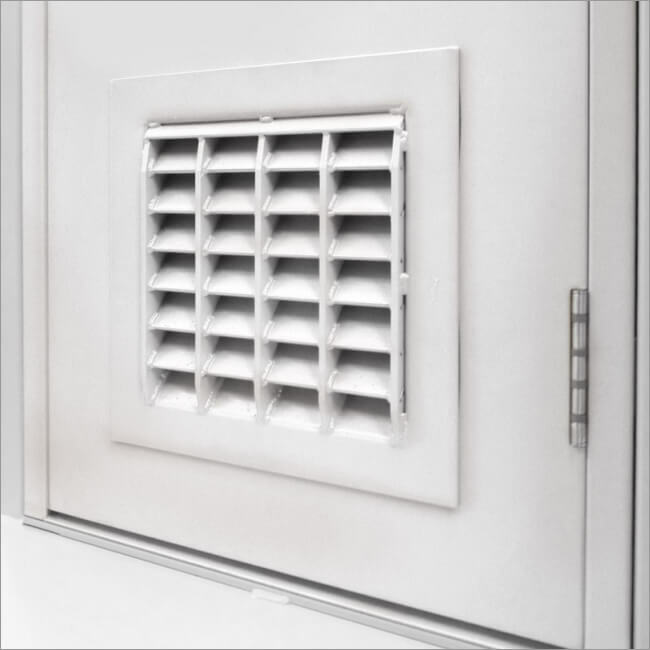 Available with a wide variety of locking options suitable for personnel access as well as panic exit and emergency escape. This version is available as ‘extra height’ single, leaf-and-a-half and double doorsets which can incorporate an ExcluGlass® SR3 vision panel and/or an ExcluVent® SR3 ventilated panel. 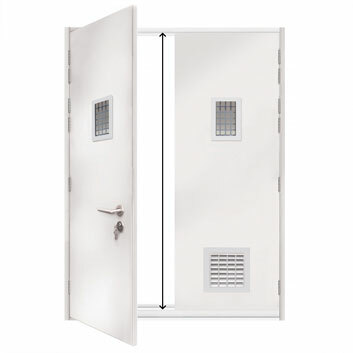 Available as ‘extra high’ doorsets to fit structural openings up to 3.075 metres without compromising the security rating. We are able to offer this rating on single and double leaf steel doorsets fitted with an ExcluGlass® 4 security rated vision panel. Single and double door options are available with ExcluVent® 4 ventilated panels. Material: 1.5mm electro-zinc coated steel incorporating an additional drill-resistant steel protection plate to attack face. Size: 45mm thick composite door leaf with an anti-lever cover plate to closing edge of door leaf. Using high security locking from Surelock McGill and Mico, a wide range of locks and panic furniture is available certified to LPS 1175 Issue 7 Security Rating level 4. Many optional extras are available including lever handles, weather/smoke seal, kick and push plates, overhead door closers, heavy duty door stays, alarm contacts and electronic lock status monitoring. 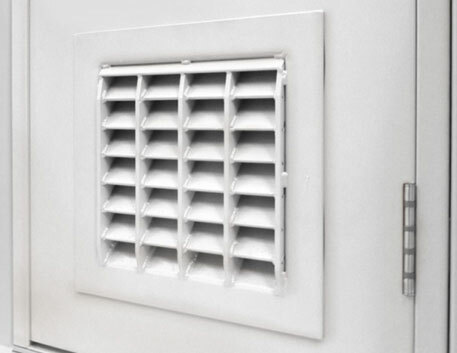 Can be fitted with certified ExluVent® 4 ventilated panels. 'Extra high' single and double doorsets to fit structural openings up to 3.075 metres.